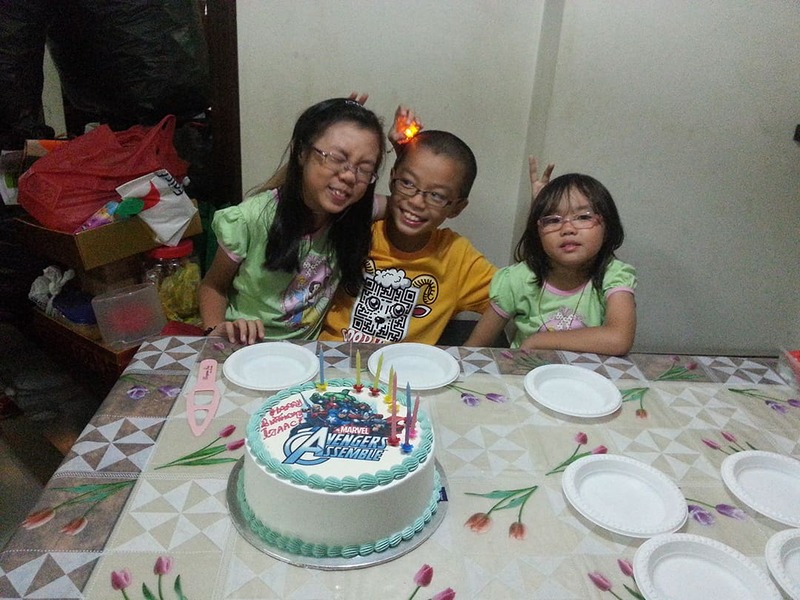 As a boy, the cake is definitely picture of boys' cartoon character instead. 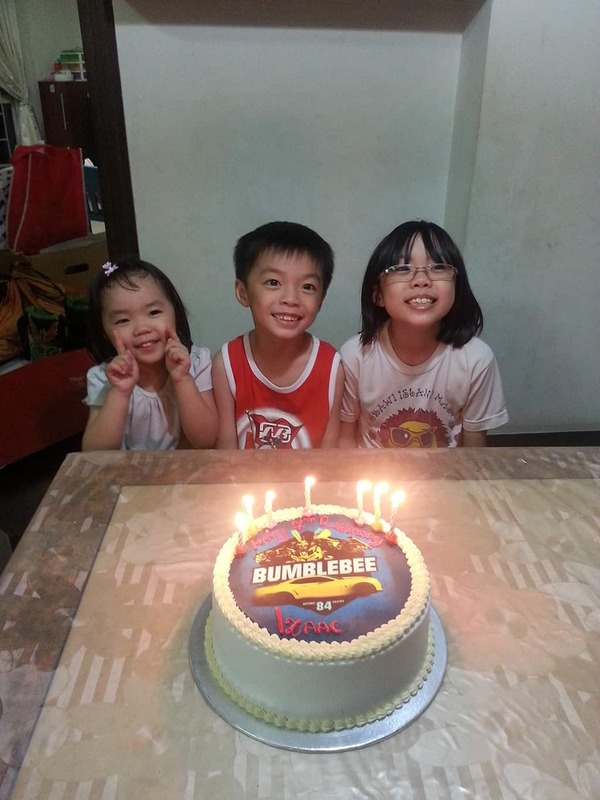 In 2013, Izaac is into transformer and therefore we chose the bumblebee picture for his cake. 2014, he said he wanted Ninja Turtles, and he got his wish. Luckily the children are easily satisfied. 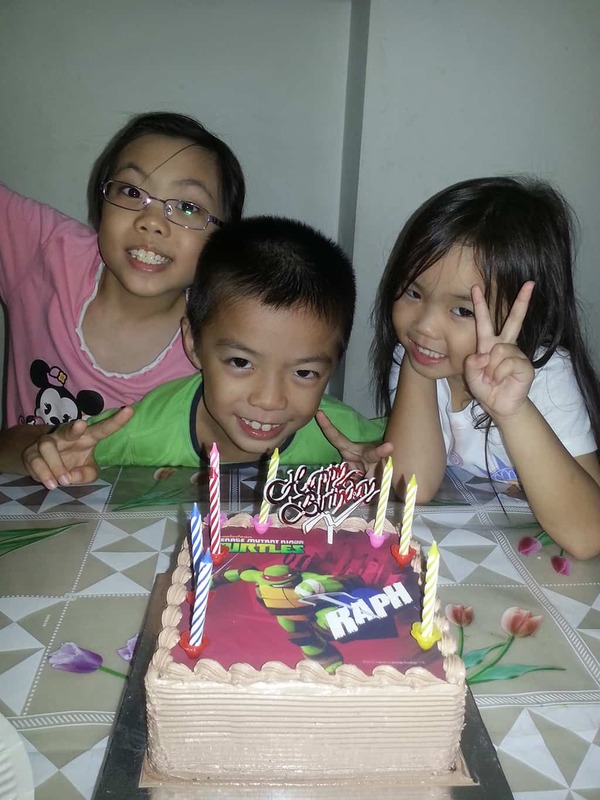 They are happy as long as they got a cake, it make choosing a cake easy for us. Last year was the Avengers, loved to see their smile when taking pictures. Ever since Amilie's wrong age written on the cake, I had decided not to put the age on birthday cake. Therefore, the cake can be represented by the number of candles on the cake. Not sure what the light Amilie held in her hand but I guess they were playing with it at that time the picture was taken. Latest Update: Finally found Izaac's 2016 pictures so will add in this post as well. 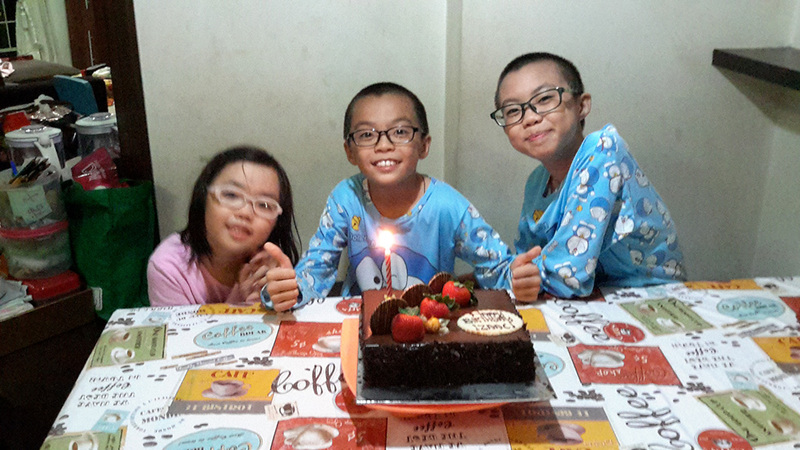 This year, Izaac said he wanted a simple chocolate cake, so we got the cake from Four Leaves. Even though there is no picture on it, the children still enjoy it. They each got to eat 1 strawberry with chocolate. Here are the videos taken on Izaac's birthday.